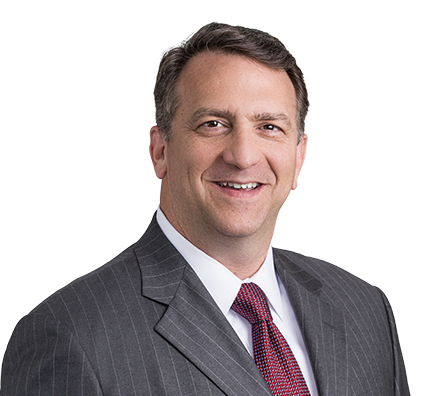 Bringing to bear more than two decades of experience, Randy defends clients in class action, complex commercial, product liability and insurance litigation. He frequently manages and coordinates teams of attorneys, paralegals, experts and e-discovery vendors to deliver effective defense for clients facing litigation in state and federal jurisdictions. Randy's business litigation work comprises class action lawsuits, shareholder disputes, lender liability claims, secured lender representation, business interruption and property damage claims, insurance coverage disputes and contract litigation. In his product liability practice, Randy exerts specific strategic counsel in defense of firearm and ammunition products; chemical, industrial and toxic tort litigation; and serious personal injury and wrongful death cases. Obtained dismissals and dispositive rulings in more than 20 states on allegations involving the performance and safety of firearms and ammunition. Represented banks and non-depository commercial lenders with his extensive experience in complex lender liability actions, defending against contract, statutory and tort claims in individual and 'mass action' cases. Blocked class certification in a consumer fraud case against a private college and its parent company where plaintiffs’ demand was more than $20 million. Secured complete victory for large bank in significant litigation involving contract and tort claims by borrowers. His insurance litigation work extends to defense of complex litigation matters involving all facets of coverage disputes; challenges to insurance practices and policy provisions; complex bad faith and vexatious refusal cases; constitutional challenges to statutory enactments; complaints on claims-handling and underwriting; medical bill review and repricing disagreements; medical pay provision challenges; and questions regarding calculation of premiums, rates and rate making. Obtained multiple dismissals and dispositive rulings in cases involving claims questioning the performance and safety of firearms and ammunition, including wrongful death cases. Defended a chemical manufacturing client in multiple product liability and negligence actions including obtaining summary judgment on a $15 million product liability property damage claim. Case involved client’s pool chlorinating product and a fire that destroyed a retail home-improvement center. Defeated class certification in consumer fraud case against private college and parent company where plaintiffs’ demand was more than $20 million. Argued against class certification because individual issues would overshadow whether any alleged statutory violation actually caused damage to a class member. Represented large bank in significant litigation involving contract and tort claims by borrowers. An identical case involving the client and the same issues had been defended by another firm in state court and the client was ordered to pay more than $14 million. Using creative arguments that had not been asserted by prior counsel, secured a complete victory on all claims, with summary judgment eventually entered in favor of client. Defended a bank which, along with other parties, was sued by approximately 70 persons in a complex, multi-million dollar Ponzi scheme case. Plaintiffs had invested in promissory notes issued by a company involved in the purchase and development of real estate in the UK. Several plaintiffs held such promissory notes in accounts with the trust division of the bank and alleged that the bank was negligent, breached its contracts and violated the Racketeer Influenced and Corrupt Organizations Act (RICO). Plaintiffs sought damages in excess of $44 million, as well as their costs and attorneys’ fees and trebled damages under RICO. The bank obtained a dismissal of the RICO and alleged negligence counts. After dispositive motions, the only pending claims that remained against the bank were the breach of contract claims asserted by 41 plaintiffs. A confidential settlement was ultimately reached resolving those claims on terms favorable to the bank.